A new, national system of transparent, quality credentials exists in which learning is recognized however it occurs, offering every American a chance for a better life. Millions more Americans need the knowledge and skills that can only be obtained through post high school learning. They also need credentials that make that learning transparent to employers, to education providers, and to themselves. Unfortunately, the meaning of many current credentials is not transparent to those who need to understand them. Because credentials link people to jobs, connect educational programs, and define career pathways, the need for credential transparency is particularly acute for today’s students— racial and ethnic minorities, low-income students, adult learners, and first-generation students—who face even greater challenges navigating the complex and ever-changing credentialing landscape. Lumina is working with a wide range of partners to develop new approaches to bring greater transparency to both degrees and non-degree credentials. The goal is to provide employers, education providers, and learners with credible, transparent, up-to-date information on the meaning and value of credentials beyond high school. This work includes development of new, national standards and platforms under development by the Credential Engine, as well as new ways for individual learners to organize and present documented and validated knowledge and skills to employers and education providers. These emerging approaches offer new ways to expand postsecondary opportunity and increase attainment through clearer linkages between credentials and careers; smoother transitions between education providers; and innovative, exible pathways for all kinds of learners. 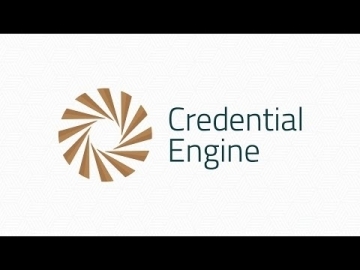 Credential Registry uses open-licensed software to continuously capture, connect, archive and share metadata about credentials, credentialing organizations, quality assurance organizations and competency frameworks and additional metadata as needed to support an open applications marketplace.